I've recently started a new job that is actually pretty high stressed; and as such, I've often found myself having skin that's not in the best condition due to long hours in front of the computer and in an air-conditioned room! :( While I've sometimes wished to run to the washroom to just splash my face with water, I know that's near impossible with my makeup on (cue smudged makeup face). 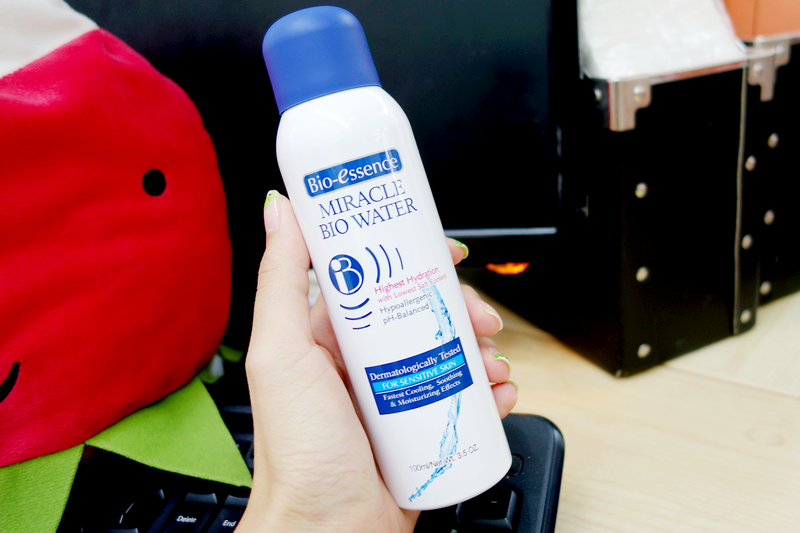 Thus, believe me when I say I found so much joy in Bio-Essence's Miracle Bio Water that has not only solved my problems of wanting a quick spritz for rejuvenation, but has also given me a great boost in hydration over the day. Before I get into the many benefits of the Bio Water though, let me give a quick introduction. First off, I think it's extremely vital to note that the Miracle Bio Water is extremely low in salt, compared to many in the market, with as little as 2.432mg/l! What does that have to do with anything? Well, we all have natural salt in our bodies and it's also essential in maintaining a healthy physiological process - but too much of it causes dehydration. And though you wouldn't guess, many other "waters" out there have huge salt contents that end up drying our skin out instead of hydrating it. Not the Miracle Bio Water though. In fact, it even comes with an optimal pH value of 6.45, which is the closest to the skin's natural pH value; this way, it is extremely mild and great even for hypersensitive skin (dermatologically tested!). Each misting leaves the skin soothed, hydrated and softened. 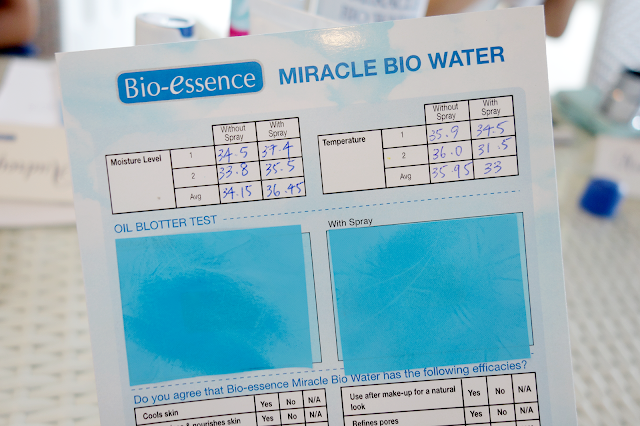 As you can see above, we did a test at the Bio Essence event and my moisture level went up by an average of almost 3% and my skin was cooled down by 2 degrees! 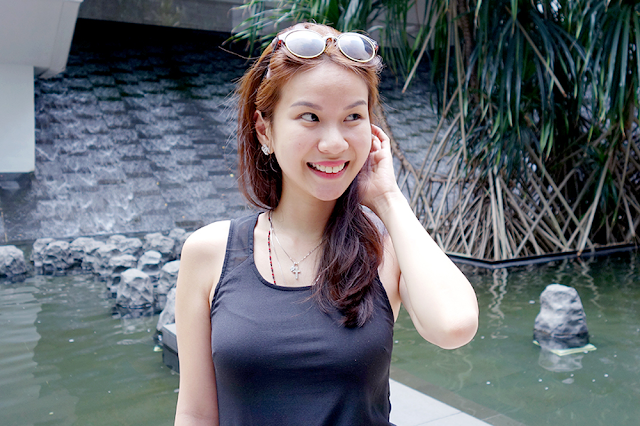 It also amazed me how matte my skin felt after, because no one loves oily skin after all haha. Getting our Glow on from Customized Facials at Castelle de Beaute! Hello! I've got a really exciting post this time, and I say so because I've actually gotten my cousin to be with me in one of my blog posts! Woot! :) If you want a little insight, she's my little cousin, younger than me by 3 years, and I've loved her since she was born! That's 23 years worth of loving haha. She and I have got actually pretty different skin types, which I thought would give extra insight to the types of customized facials offered at Castelle de Beaute. 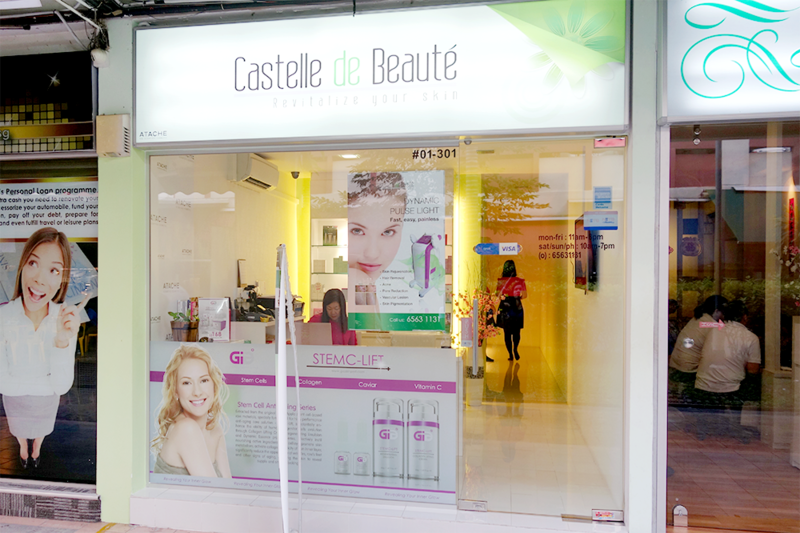 Castelle de Beaute offers customized facials (priced at $228) based on your current skin condition, to help you achieve the desired results for a more radiant and hydrated skin! Castelle carries ATACHE products, an amazing skin care line from Europe which caters for a wide range of skin care solutions such as anti-aging, antioxidant, anti-wrinkles, firming and whitening as well. Sorry for my fat face lol. Also, gotta say how much my cousin and I loved LOVED the staff! 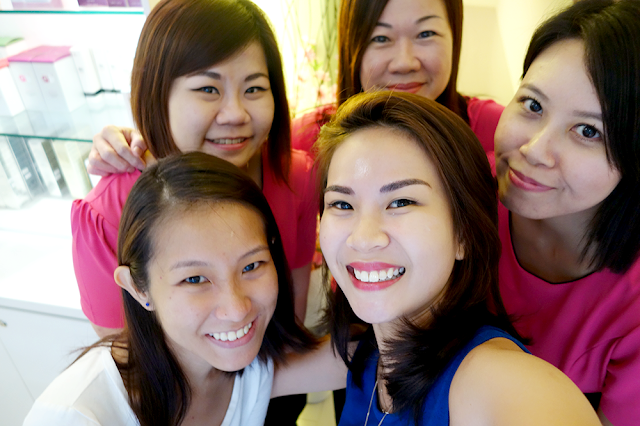 They were so friendly towards us, very patient with our skin types, and gave us constant tips to improve our skin. Plus, the picture just says it all to how fun, cute, and vibrant they all were! They were so up to take a selfie, and so much giggling ensued haha. 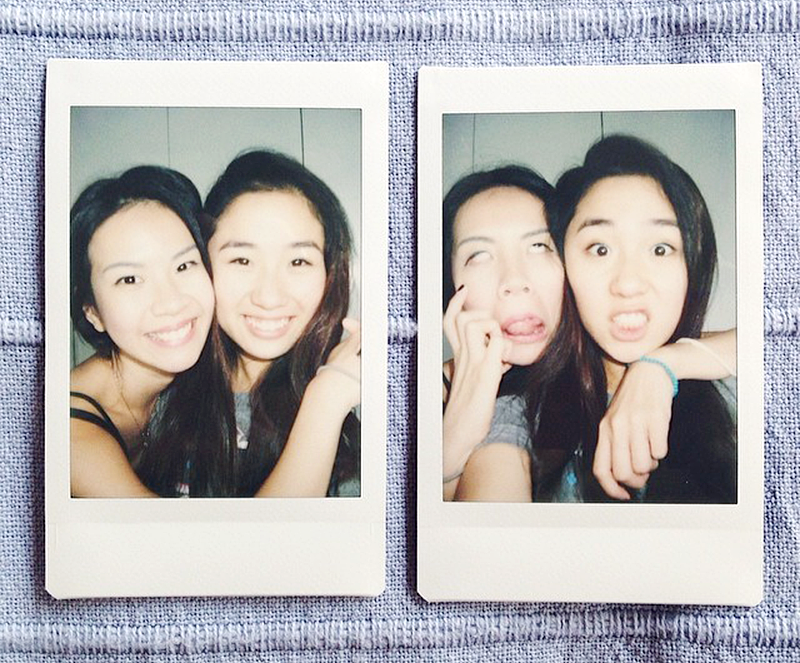 Have you guys checked out Part 1 for some of the fun things to do and places to go already? If you haven't, please click HERE. If you have, then let's jump straight into Part 2! :) I will be covering my Anniversary Day itself and some interesting meals we had with great views hehe. Many people know me as a safe person: I'm not a risk taker, I don't go out late and I don't like to do things TOO differently. I'm safe. So when it comes to my hair color, I've always believed that simplicity is key. I've got to admit, I've always admired those with kaleidoscope hair but it's never tempted me to do the same before. However, the safe ole me has been blessed, because I've now found a way to have pretty colored hair that suits my demand for an evergreen style that is equally trendy - all thanks to The Comb Hair Studio! 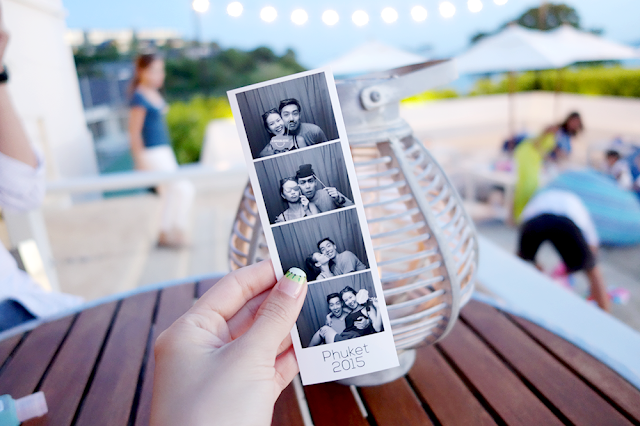 I flew to Phuket with my boyfriend for our 5th Anniversary (time flies!!) 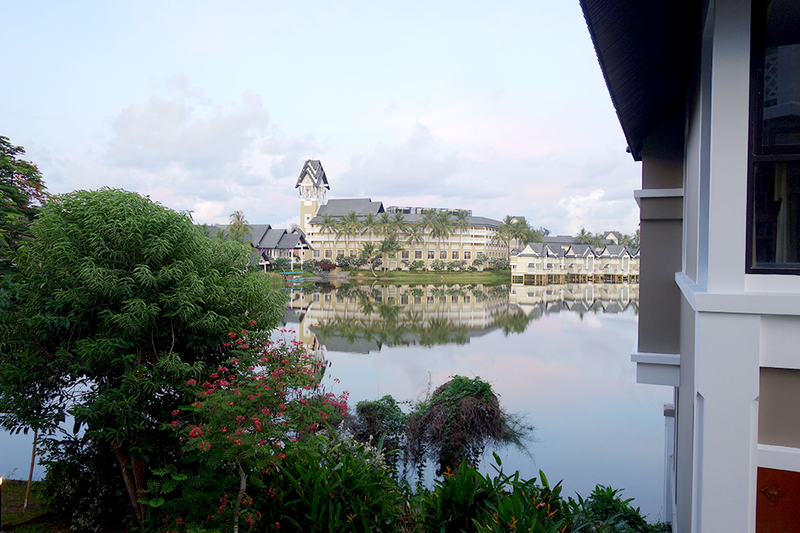 and we stayed at Laguna, Allamanda Resort. It actually used to be a hotel but has now converted to Service Apartments. It's apparently one of the cheapest around Laguna, which is sort of an expat area, and the apartment is really not bad. Mine was a 1-bedroom with kitchen, living room, toilet and dining area and I found it way more than enough for me and my boyfriend. While it is rather near the airport, it can be far away from many popular places like Central Festival, Patong and Phuket Town! So if you or your friend/beloved could ride a motorbike, that would be great! We actually rented this for 300 Baht a day, approximately SGD $12, and went lots of places. 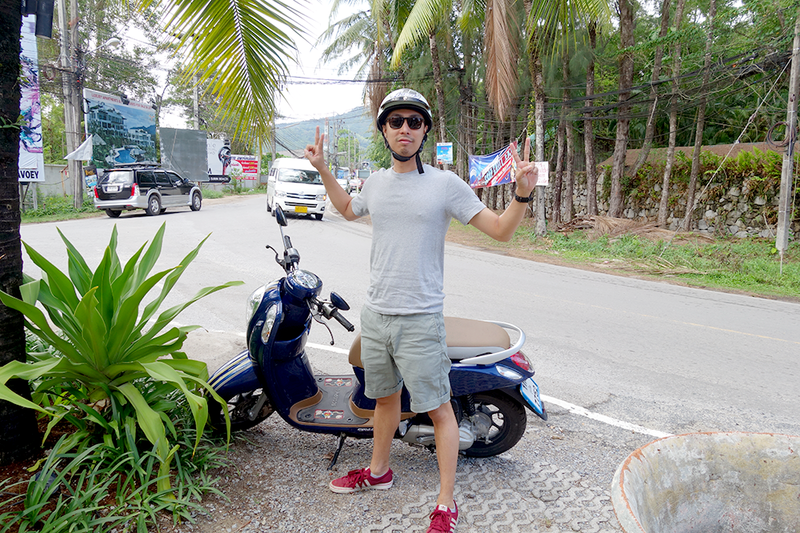 Taxi rides were quite expensive at 500 Baht one way, which would have totaled 1000 Baht just to get to and fro so we decided one bike was enough. Eyelash Extensions have been all the craze lately - not just in Singapore, but many parts of the world as well. It's not hard to reason why since they make our eyes so much larger and also cut down our makeup routine times significantly. Since I've started, I've said goodbye to smudged mascaras and droopy lashes after a long day; needless to say, I've totally embraced this new fad! However, I understand the many worries behind Eyelash Extensions - people have had all their eyelashes drop out permanently, gotten swollen eyelids and, in one the worst case scenarios, conjunctivitis eeps! 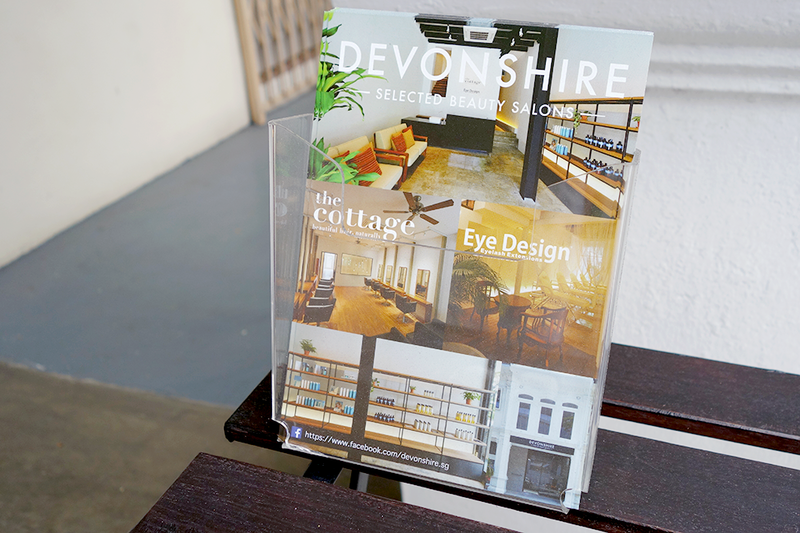 That's why it's very important to get your Eyelash Extensions from a reputable, safe, and reliable place: in fact, I'd like to introduce one such place today and that's none other than Eye Design by Devonshire Selected Beauty Salons!